Three photo features that tell the story of Generali’s commitment to the Human Safety Net, a non-profit organisation that aims to protect and improve the lives of people in 18 countries. 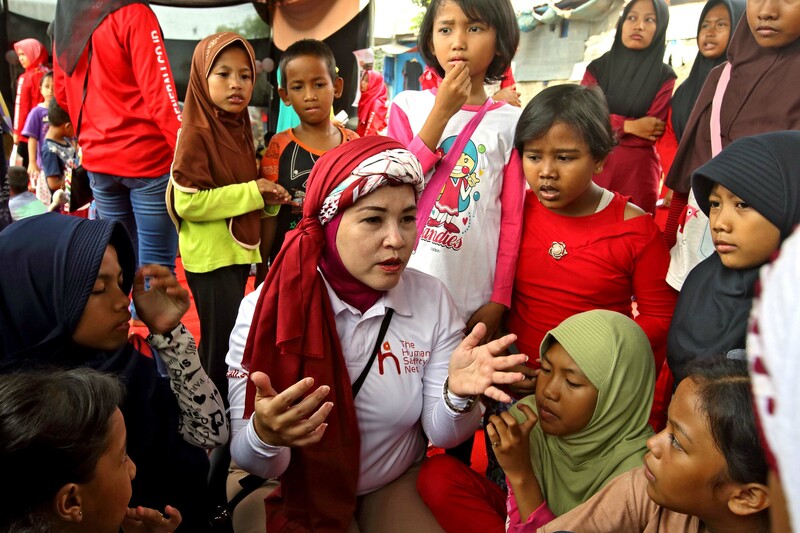 They show the work of NGOs in Spain and Indonesia that partner solidarity networks that are committed to showing the importance of a school education and socialisation for children, helping families that live in difficult conditions to send their children to nursery school. In France we followed a project which helps young refugees from war-torn countries like Syria and Afghanistan, enabling them to enter the world of work and giving them the right skills set to become entrepreneurs and to get their dignity back.